A fetching 1890’s white cotton embroidered suit. 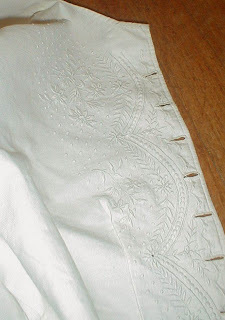 The front and back of the jacket and the sleeve cuffs are embroidered with white flowers and vines. 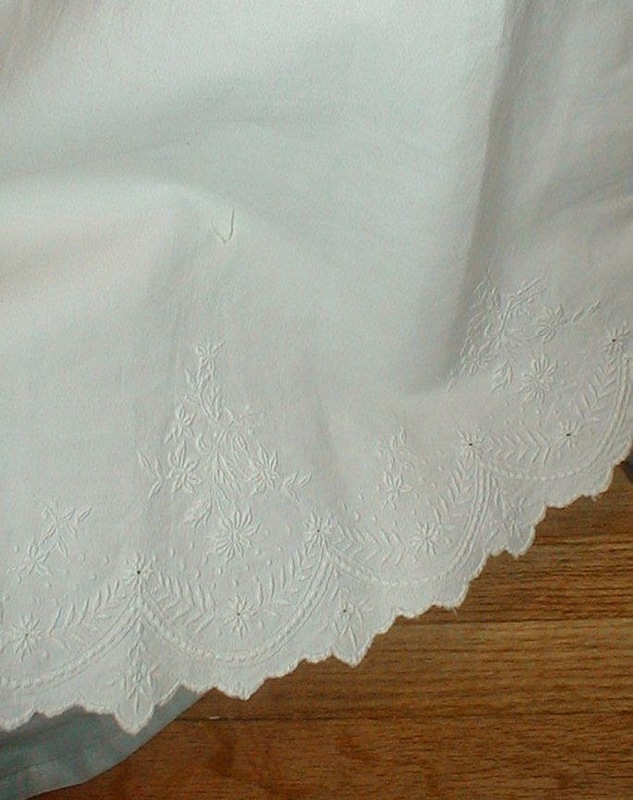 The hemline on the skirt is also embroidered in the same manner. 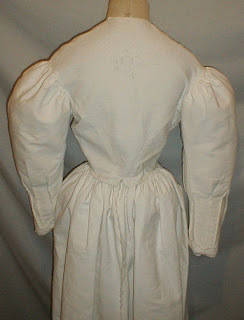 The jacket has leg of mutton styled sleeves and a front button closure. 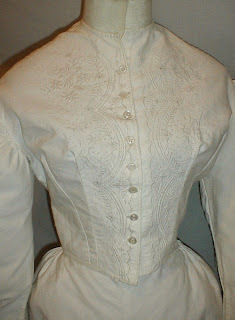 The jacket and skirt are unlined. The suit is in crisp and clean condition. There are no holes and no age marks. 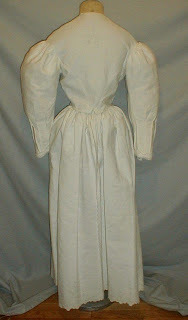 Bust 32 Wait 23 Skirt length 34. 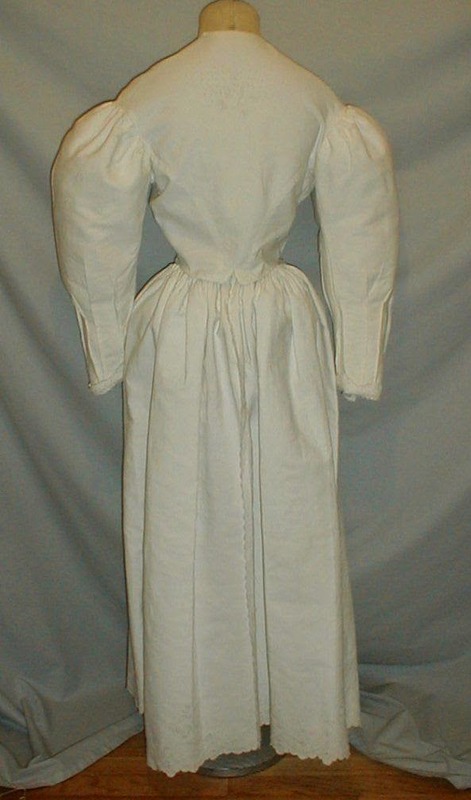 This looks so plain until you see that embroidery. Wow! Probably about 1894.